Kitchen Drawer Organizer For The Junk Drawer - Yes, You Should Have A Junk Drawer! Keep your junk drawer organized with a kitchen drawer organizer. Yes, you heard that correctly. Having a junk drawer is not only something I approve of, it's something I HIGHLY recommend. A professional organizer encouraging the use of a junk drawer? How could it be?! Well, it's pretty simple actually...let me explain (and tell you about some cool junk drawer organization ideas!). 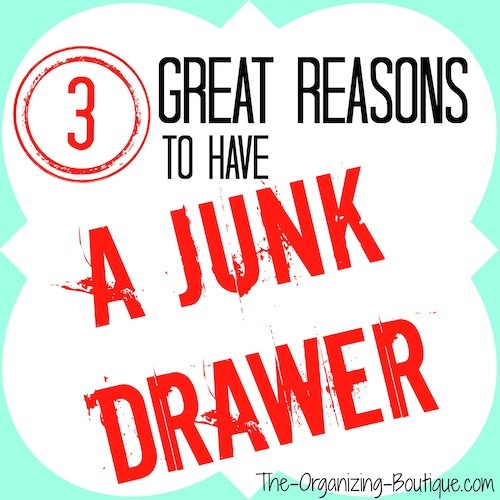 Please Note: I am suggesting that you have ONE junk drawer in your kitchen (not a kitchen full of junk drawers). 1. Being organized does NOT mean being perfect. Putting everything away all the time is not practical, especially if you have no idea what the little oddly-shaped piece in your hand is. The junk drawer fits right in with the everyone-is-human-and-nothing-can-ever-be-perfect-anyway theory, so let's go with it! 2. Reduce the build up of clutter. The kitchen is a high-traffic room, so inevitably a lot of stuff gets dumped there. Some stuff is recognizable and being near the kitchen makes sense, but perhaps they are not things that belong in any of the other kitchen drawers (i.e. household tools, flashlight, pens, notepads). Other items are a mystery as to what they even are and where they belong. These are the things that usually become clutter. Thus, the junk drawer is the perfect "home" to collect and contain the stuff you don't know what to do with. 3. Be able to locate random items quickly. When you do figure out that the little oddly-shaped piece in your hand goes to your son's Lego collection, then you'll know just where to find it. 1. A junk drawer organizer. There are some great kitchen drawer organizer products out there made specifically for the junk drawer. These are the top-rated items on Amazon worth checking out. 2. Modular drawer organizers. You can also look into organizing drawers with organizers that work in any drawers. My favorite is the modular acrylic drawer organizers. 3. Repurpose something. In some of my kitchen drawers, I use Tupperware containers that are missing lids as organizers. See a photo here! 4. Make something. You can create drawer organizers out of almost anything. For example, how about upcycled cereal boxes? 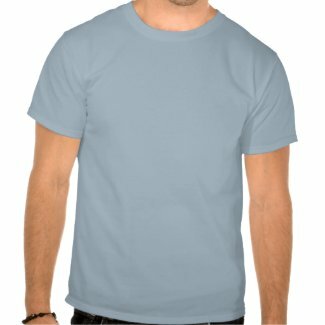 Show Your Junk Drawer Pride With These Awesome Graphic T-Shirts!